Many American adults today are facing the reality of caring or having to care for their aging parents who are no longer capable of living an independent life. Many are worried about what they can do to ensure that their parents may receive the kind of care they need at this point of their life, but few know what to do about getting care. So, if you are in this situation, it may be comforting to know that you are not the only one facing this challenge. According to recent statistics, “the oldest-old population (those age 85 and over) grew from just over 100,000 in 1900 to 5.5 million in 2010” (AgingStats.gov). There are millions of others like you thinking about how to get the best care for their aging parents and wondering how to do so at an affordable cost. Without a doubt, the costs of healthcare these days can be crippling. And sadly, the hope of having these costs adjust favorably may be bleak. In spite of health care reforms, there is no guarantee as to whether or not they will work out well for American citizens or not – and this leaves you with the only option of working on your parents’ healthcare requirements using your own resources. The difficulties that your parents are experiencing as they feel the pangs of aging may be as overwhelming to you as them. The added stress you are feeling about having to provide them the best help they can get makes the situation even worse. Their health issues, along with the inconveniences of possible incontinence and inability to perform their daily tasks, like dressing, bathing, and cooking, call for your immediate attention. Adding this urgent need to your own scheduling requirements to look after them as they progressively need more care, adds significant angst to you and your family. What options do you have? The most common response in this kind of situation would either to admit your parents to a full-time nursing home, or an assisted care facility if you can afford it. Though these options may be plausible, they may not be the most practical choice if you are considering your long term financial future. To begin with, long-term outlay costs may be burdensome for you and your family; you may have other fiscal obligations, such as having to provide for your spouse and children, and your own daily living expenses. On the other hand, nursing homes and assisted care facilities may also be equally as expensive, with the costs estimated at up to $80,000 annually (CNN Money, 2013). Hiring your own In-home caregiver, on the other hand, may be a more practical choice. Unlike the other more common options, having this kind of care for your aging parents may mean not having to spend as much money while getting the same or better assistance they require and deserve. These non-medical, private pay or personal care professionals, or caregivers, can do anything from preparation of meals, to bathing and grooming, to even administering intravenous medications. Depending on their specific qualifications, they may also offer other services as that your parents may need now or in the future. The cost savings of hiring an individual caregiver can be substantial, sometimes less than half the expected cost of a nursing home facility. The advantages of having a caregiver for your parents may be the best choice you make for them; and for yourself as well. When hiring your own caregiver, you should look at companies like Well Beyond Care. Well Beyond Care offers an online caregiving matching application and more. While most in-home care is provided by private duty agencies, Well Beyond Care teaches and guides a Careseeker (a senior or their children) on hiring their own caregiver. Compared to traditional Private Duty Agencies, families can save $10K to $30K per year, and caregivers make an additional $3 to $4 per hour extra using our on-line service. 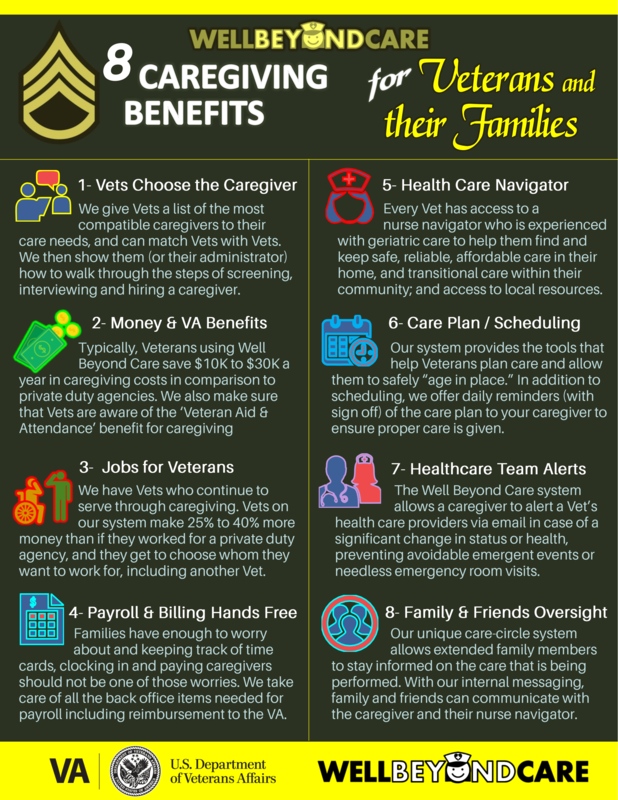 The Well Beyond Care system, combines the best in caregiver hiring (matching, screening, ratings & background checks) with all the back-office functions (verified time worked, payroll, scheduling, and documentation) to insure safe, reliable, dependable, affordable care is obtained. Each careseeking member has access to their own local, personal nurse navigator to help guide them and give advice on healthcare options. An user friendly, free service, the Well Beyond Care system wants to make sure that there is a rightness of fit in the Care-Pair by empowering caregivers and those looking for care. Austin, TX, September 10, 2017 –Well Beyond Care’s founders will be discussing how their company offers an alternative solution to the broken system of private duty care through its online service in an interview on Dr. Mara Karpel’s Your Golden Years radio show on Sunday, September 17th, 2017. Well Beyond Care, launched in late July for 2017, is already operating in seven (7) states and fifteen (15) major metropolitan areas within their first six weeks of operations. The founders will discuss the journey of getting this revolutionary service up and running and some of the hurdles they still need to overcome in the private pay, private duty caregiving marketplace. You can find out more about this scheduled interview here. The Company has been working on this new application for over three (3) years, and its initial acceptance has been overwhelming. Management added that they projection for 2018 will be to accelerate the hiring of more nurses to meet the demand for their services nationwide, and is also working with major organizations dealing with caregiving to alleviate some of the major shortcomings of private duty care. 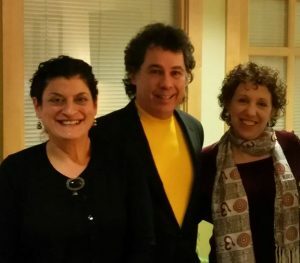 Dr. Mara Karpel & Your Golden Years radio program delivered its first show broadcasting from Blog Talk Radio, Sunday, Jan. 26, 2014. Since then, she has done over 100 broadcasts on topics covering aging, caregiving, and issues to improve your “golden years.” Dr. Mara Karpel is a licensed psychologist with over 25 years of experience working with adults of all ages who desire to reach their full potential, no matter their age or health condition. In addition, Dr. Karpel has a specialty of working with older adults and with caregivers. Austin, TX, August 3, 2017 –Well Beyond Care, an online company that is offering an alternative solution to the broken system of private duty care, was chose from dozens of companies to present as part of Capital Factory’s and 1776 Challenge Cup. 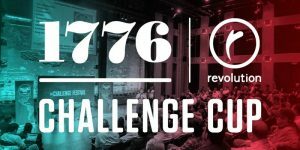 On August 10, 2017 Capital Factory, in partnership with 1776 and Revolution will be hosting the 2017 for Challenge Cup Austin, where 15 startups will pitch for the chance to win a trip to the Global Final round of Challenge Cup in Washington, D.C. The Challenge Cup is a worldwide tournament for the most promising, innovative, and creative startups to present to a panel of judges and the public their revolutionary idea and have a chance to win prizes, make connections, and share their vision on a global stage. This year, 1776 is partnering with 75 cities to host Challenge Cup Local events, and Capital Factory is is hosting this year’s event in Austin. One winner will advance with a free trip to the Global Finals at Challenge Festival from November 13-17, 2017 in Washington, D.C. There, the finalists will compete for the grand prizes as well as spend time with the investors, customers, media and other key connections that can help them succeed on a global scale. For more information about the Austin Challenge Cup, please click here. If you or a loved one is considering hiring an in-home caregiver or private pay attendant to help take care of you at home, there are a lot of factors to consider. Many people choose to hire a caregiver through a private duty agency due to in part to the seemingly apparent ease of using one, but agencies tend to be very expensive. On top of having to pay your caregiver, you will have to pay fees for the agency’s services. 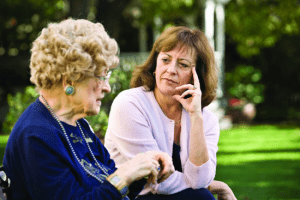 In addition, you have little say on ‘what’ caregiver you get with an agency. On the other hand, hiring a caregiver completely on your own poses its own set of obstacles such as finding a trusted, qualified, reliable, quality caregiver. Using a fully integrated online service to hire a caregiver for yourself or a loved one is a new and revolutionary way to find top-notch and well matched caregivers who are verified, qualified and more affordable than using an agency. Sites like WellBeyondCare.com, make hiring a caregiver simple, easy and more affordable while allowing you to maintain control of your care needs. When you use an agency, many elderly patients have trouble paying the agency fees, which can range from $10 to $25 per hour over what a caregiver is making. At the same time, private duty agencies will not always accept insurance or Medicare. Using an online resource, the individual who needs care is able to set their own price and still have the option of using Long Term Care Insurance or Medicare. This makes costs for the careseeker much lower and can relieve much of the stress of having to hire a private duty caregiver. A good online service should also be able to estimate taxes, do the automatic required deductions and provide the information you need to file tax reports when the time comes. One other very important aspect of hiring a caregiver is ensuring that the person can be trusted and their work experience and references can be verified. Caregivers need to be reliable, show up on time, provide quality care and must be able to be trusted to perform the duties they say they can. A good online service will feature reviews and ratings for every caregiver who has worked for other careseekers provided by the careseekers themselves. They should also feature a system to get a background check and reference check, so you know the caregiver can be trusted coming to your home. This transparency gives careseekers and their family members peace of mind knowing that the caregiver they want to hire is dependable, reliable and meets their skill requirements. One other feature that should be considered with an online service is the ability to remotely monitor the care from afar. Families today are widely dispersed, and the ability to have multiple individuals be able to see what is being done with a care recipient by the caretiver is a crucial factor in reducing stress and providing superior service for any online platform. With an easy-to-use website, helpful tools and personalized customer support, using an online resource such as WellBeyondCare.com to hire a caregiver is a new and great alternative to the old way of doing business. Save money and time by setting your own prices and managing all of your care needs from the comfort of your home. WellBeyondCare.com gives caregivers and those who need care the tools to manage their in home care online. Caregivers, registered nurses and geriatric care managers can use the website to be automatically matched for caregiving jobs, set their wages and weekly schedule, receive weekly payment, and build their resume and portfolio with real experience. Careseekers, or family members looking for someone to help care for their parents or loved ones, can use the website to search for qualified caregivers, post a profile that outlines their specific care needs, monitor their caregivers’ schedules, make paymenst online, and receive personal, local support from the WellBeyondCare team of Nurse Care-Pair Managers. 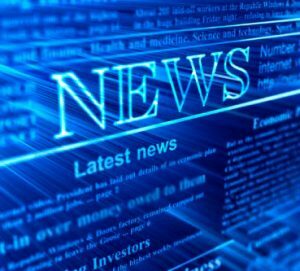 This is a listing of recent articles about Well Beyond Care concerning the recent win in the Rice Alliance Pitch Competition held in Austin, Texas on January 26th, 2017. Austin, TX, March 29, 2016 –Well Beyond Care, an online company taking private duty care to the next level, is pleased today to announce it has been selected as one of the finalists for AARP Health Innovation@50+ LivePitch, the one day pitch competition for emerging startups in the healthy living space with a focus on caregiving. Well Beyond Care will compete against 9 other startups that represent the best in health tech startups. For more information on the Wednesday, April 27 event, go to http://health50.org/. Well Beyond Care is the only company that teaches families and individuals how to find and manage affordable non-medical in-home care, while solving the chronic problems of caregiver truancy and turnover, and at the same time offering a pathway to transitional care to help HHAs accomplish their Clinical Outcomes and Customer Service goals. Why? Because seniors fall into a black hole post healthcare discharge and wind up back in the hospital, emergency room or nursing home because their care was not transitioned, support and resources were not secured and family and friends went on with their busy lives… at a distance. We offer a way to change this. We have to… Seniors as well as those that are infirmed, are living through their 90’s and even older and continue to strive to live in their homes with and without family support. Our nurses are experienced Home Health and Hospice Nurses that are well equipped to provide resources and local healthcare connections. AARP’s Health Innovation@50+ LivePitch event, held at Plug and Play Tech Center in Sunnyvale, CA, begins with speaking sessions on caregiving, and then a keynote with Nancy LeaMond, chief advocacy and engagement officer, AARP. The afternoon will showcase ten companies, including Well Beyond Care, who were selected from over 200 applicants. The ten will be presenting their business focus on stage before a panel of expert judges and an audience filled with AARP members, the actual intended end users of these solutions. Representing AARP’s 38 million members, these consumers will share feedback in real-time on business viability, interest and value, providing the companies absolutely invaluable market data on the spot. Lauren Tarrant, RN, Chief Nursing Officer of Well Beyond Care, will have three minutes to pitch how Well Beyond Care is solving unique healthcare needs of people 50 and over, and/or their caregivers. “This is a great opportunity for Well Beyond Care to showcase how our online service can help adult children with geriatric parents solve the every nagging problem of what to do with mom and dad,” states Jeffrey Fry, CEO of Well Beyond Care. “We know getting great care is much more than just doing matching, and that is why we also focus on services and resources with our Nurse Care Pair Managers. We are trying to take care to the next level, and close the loop on offering a continuation of transitional care from the hospital, to home health, and back into the home. I personally feel our goals and those of AARP align perfectly concerning the over 50 population and am so excited to be a part of this great event,” Mr. Fry concluded. Washington DC, March 29, 2016 – AARP is pleased to announce the ten finalist companies for its fifth Health Innovation@50+ LivePitch event which will be held Wednesday, April 27 at Plug and Play Tech Center in Sunnyvale, CA. Ten startup health tech companies focused on caregiving were selected from over 200 applicants to pitch their businesses at this unique one day dual-pitch event. For more information and to register to attend at a price of only $299.00 for the full day, please visit http://health50.org/. AARP’s Health Innovation@50+ LivePitch is a one day pitch competition for emerging startups in the healthy living space with a focus on caregiving. The event will begin with speaking sessions on caregiving, and then a keynote with Nancy LeaMond, chief advocacy and engagement officer, AARP. The afternoon will showcase ten companies presenting their business focus on stage before a panel of expert judges and an audience filled with AARP members, the actual intended end users of these solutions. Representing AARP’s 38 million members, these consumers will share feedback in real-time on business viability, interest and value, providing the companies absolutely invaluable market data on the spot. Previous AARP Health Innovation@50+ LivePitch events have been held in Boston, Las Vegas and New Orleans, with last year’s event in Miami showcasing technology innovation across Florida. Finalists from the previous four events have raised over $80 million in investments and four companies have been acquired. Please mark your calendar now to join us Wednesday April 27, 2016 at Plug and Play Tech Center in Sunnyvale, CA to see the most exciting startup companies in the “50 and over” Health technology sector. Register to attend the event at http://health50.org/. AARP is a nonprofit, nonpartisan organization, with a membership of nearly 38 million, that helps people turn their goals and dreams into real possibilities, strengthens communities and fights for the issues that matter most to families such as healthcare, employment and income security, retirement planning, affordable utilities and protection from financial abuse. We advocate for individuals in the marketplace by selecting products and services of high quality and value to carry the AARP name as well as help our members obtain discounts on a wide range of products, travel, and services. A trusted source for lifestyle tips, news and educational information, AARP produces AARP The Magazine, the world’s largest circulation magazine; AARP Bulletin; www.aarp.org; AARP TV & Radio; AARP Books; and AARP en Español, a Spanish-language website addressing the interests and needs of Hispanics. AARP does not endorse candidates for public office or make contributions to political campaigns or candidates. The AARP Foundation is an affiliated charity that provides security, protection, and empowerment to older persons in need with support from thousands of volunteers, donors, and sponsors. 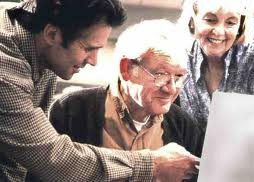 AARP has staffed offices in all 50 states, the District of Columbia, Puerto Rico, and the U.S. Virgin Islands. Learn more at ww.aarp.org.